Hi Vis Safety Workwear Caps. Reflective Hi Vis Headwear, baseball caps and knitted beanie hats are ideal enhanced visibility headgear. Unisex Workwear Suitable for construction and outdoor workers. Hi Vis Reflective Baseball Caps. 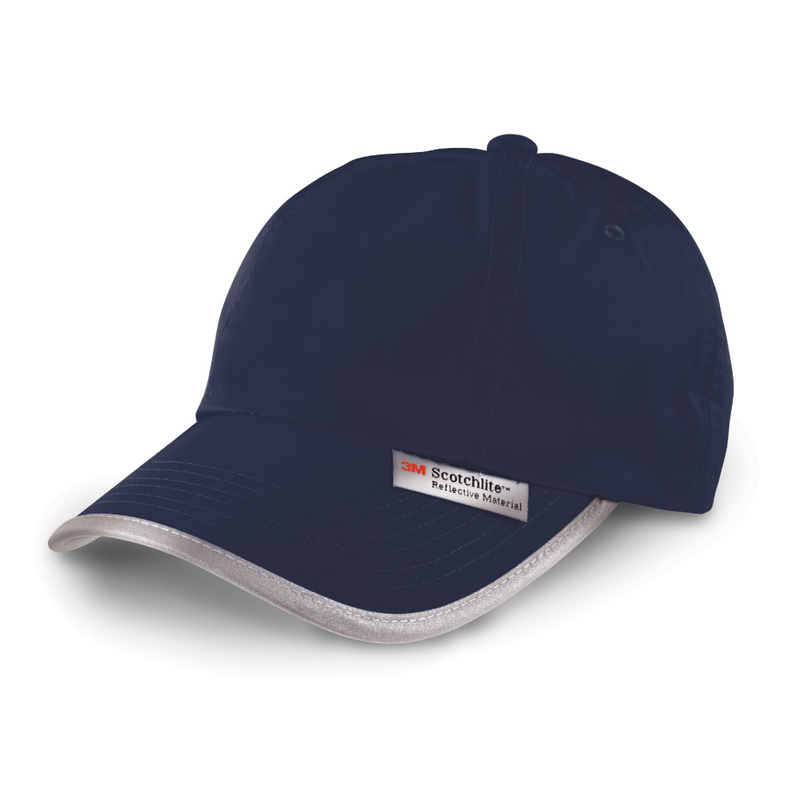 Workwear high visibility baseball caps, 6 panel low profile cap with unsupported front panels. 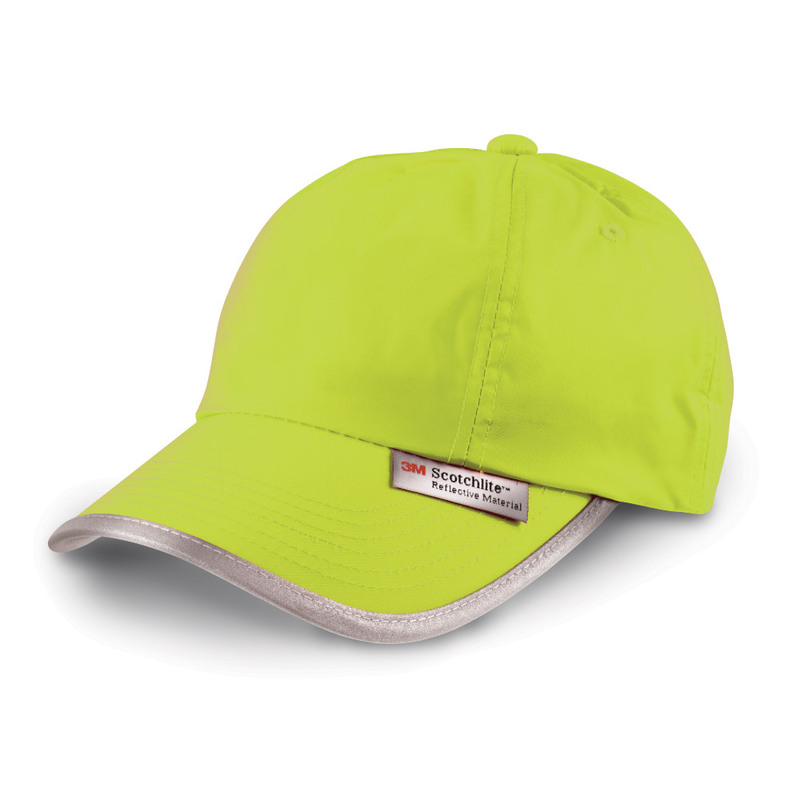 These hi vis caps are suitable for embroidery and transfer printed logos or text messages. Pre-curved peak with 6 stitch lines. 3M (TM) Scotchlite(TM) Reflective Materials around peak and back adjuster. 3M(TM) label sewn to cap. Decorating methods: Embroidery & Transfer printed logos. Prices on request. 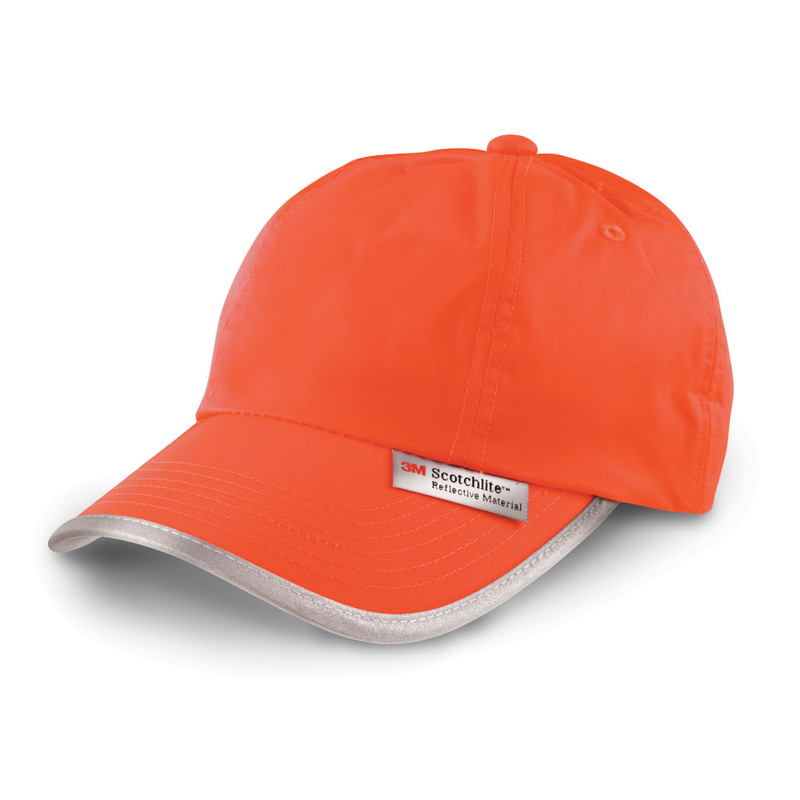 These Hi Vis Baseball Caps can be personalised with your company logo or text message. No minimum order required. Subject to sight of artwork. Enter as much info regarding your request.